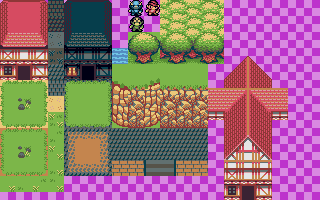 I'm working on an RPG tileset so I can make a few mockups to showcase my palette. I'm having some difficulties rendering the rock's volume, so I've come here to ask for your help! 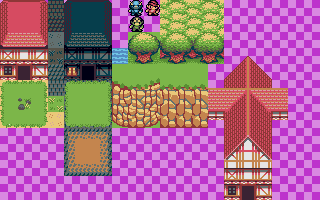 My main influences are Shawn's 8-bit RPG tiles, Link's Awakening and Final Fantasy 6. If there is anything else that attracts your attention just say so! I think it's the vertical lines that keep the rocks from having much volume. Makes them look more like textures on vertical pillars than independent shapes. Tree variations (both the isolated one and the tileable "forest" version); elements like holes, distinct branches, outline variants and bird nests could be arranged to be entirely contained inside one of the sub-tiles. Transitions between packed forest and grass, both for the outside edges and to carve paths and glades within. You might plan to use sub-tiles of the isolated tree as transition, but you need to add something for the staggered trees to allow for any width and height of tree patches. 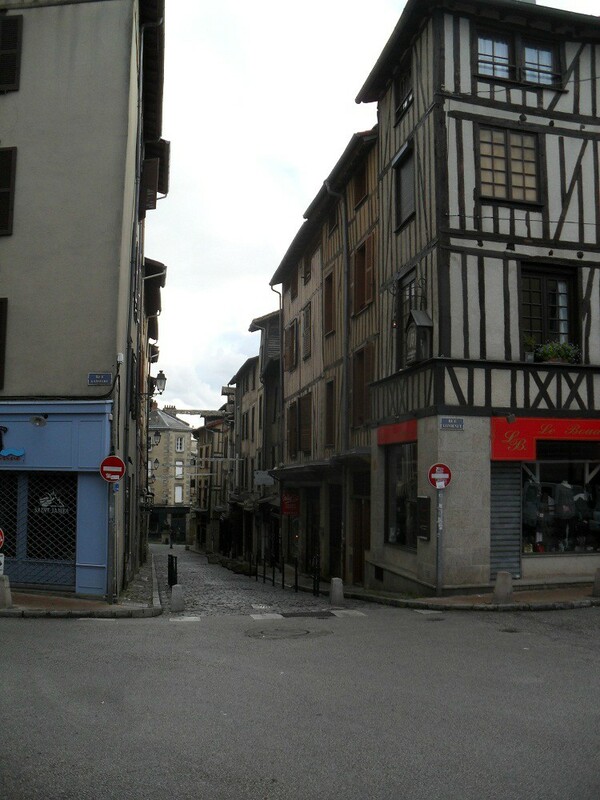 Stairs and terrace walls matching the pavement tiles, to make cities with plausible barriers and/or that look like they are built on a hill side. questseeker: I think those are good ideas! However, what you read as balconies/rails are in fact more beams. If any more of you have difficulties reading these, say so, I'll most likely get rid of them altogether. Here was my reference, on the right. 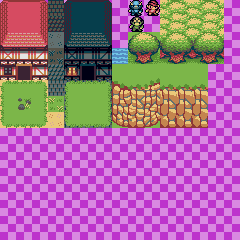 milleja46: good points; I was planning on creating several versions of the grass tiles, with patches of light/dark grass or not, to break the grid. I was thinking that a darker dirt path could be a better transition for going out of town. Thanks again Ichigo Jam, that looks great! I'll update these as soon as possible. If there's anything else you'd like to remark on, suggest or whatever, please say so! I think the reason the rails/beams are reading as rails is that they're so much darker than the other beams. It makes them look like they're in the foreground. If you tone them down a bit they should blend back into the wall. Changed the top version, bottom version is without the other beams. EDIT: Added the dirt/cobble transition tiles. 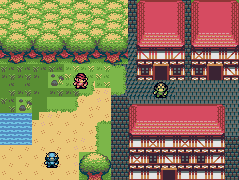 EDIT2: Added more house tiles.